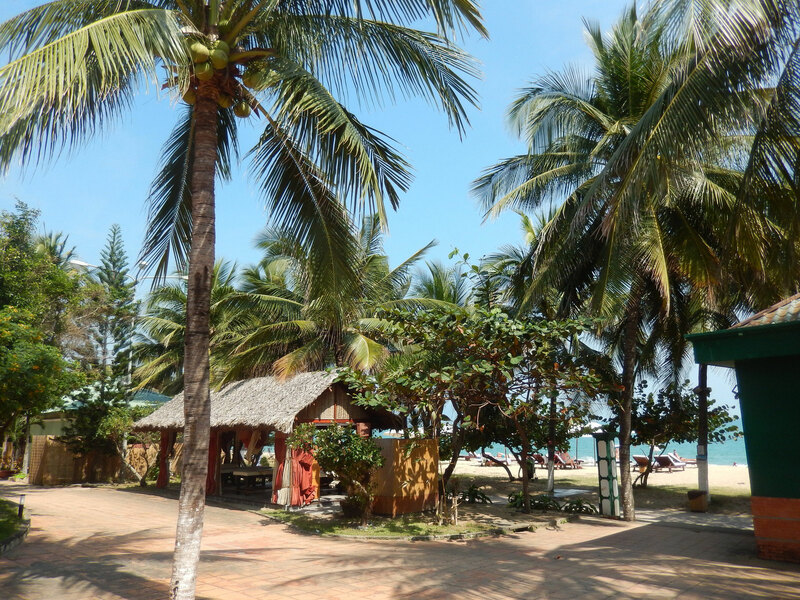 Friendly people, sunshine, long beaches with palm trees, delicious food - Nha Trang in Vietnam offers all of that and much more. 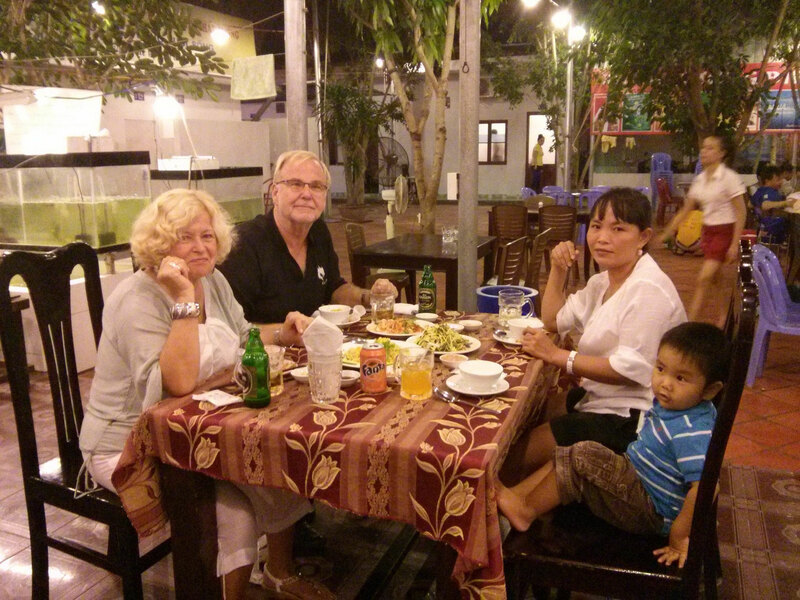 Nha Trang has become a second home for Elke and Peter - after having retired - and our Vietnamese goddaughter Luong Nguyen. Tourists from everywhere in the world like to be guests in Nha Trang which is fortunately no noisy party location. People coming here are mainly looking for a quiet place to spend their holidays together with their families and friends. A lot of hotels, apartments and houses – all kinds of categories and prices – are available here. Most of the guests stay several weeks. 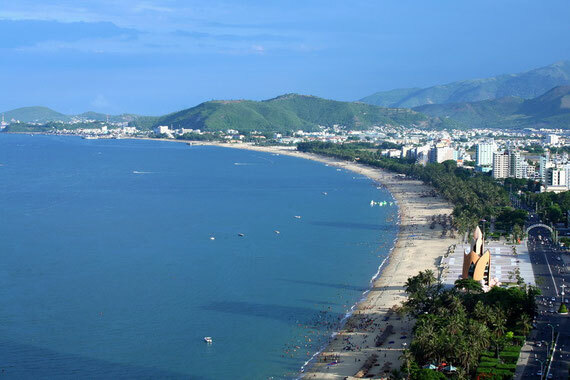 But Nha Trang is also an excellent alternative for long-term holiday-makers or to spend the winter there. The people are very friendly and everything is much cheaper than in Europe and USA. 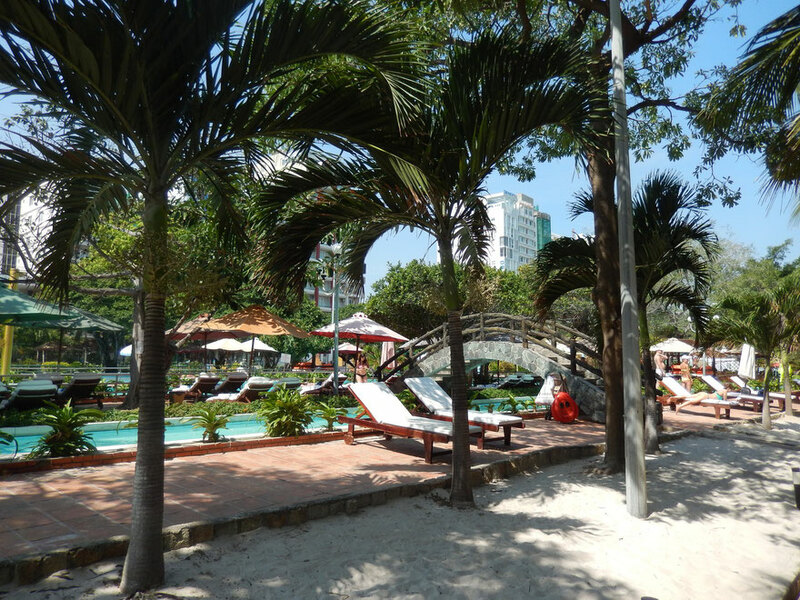 Sunbeds with an umbrella at the clean beach with white sand and an additional access to the pools cost approx. 3 USD per day. VIP sunbeds at the most beautiful places, additionally equipped with large bath towels and WiFi, are available for 5 USD only. Many hot mineral springs are located near the town. That’s the reason why three different resorts offer mud baths and mineral baths. Starting at a price of 12 USD per day one can take a bath in the mud and in the pools with mineral water. People who prefer active holidays can make use of the wide variety of offers for diving. You can also book boat trips to the many islands off the coast or excursions into the surrounding area, e.g. the coffee region, farms, waterfalls. 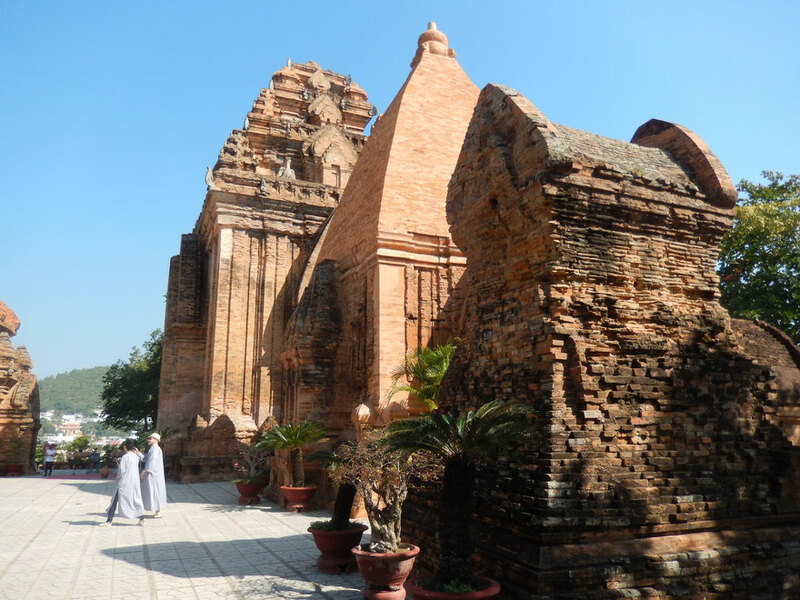 The Pro Nagar Temple to the North of Nha Trang is also worth seeing. You will find more tips and suggestions in our travel reports. There are a lot of restaurants where you can find dishes from all over the world. The Vietnamese cuisine is not as hot as the Thai and offers delicious light meals, especially seafood, the way we like it. The wine from the Dalat region and the Saigon Bia are reasonably priced and highly recommended as well. Dinner for four people in a Vietnamese restaurant costs approx. 35 USD (food and beverages). Starters could include three big salads with green papaya, mango and blossoms of bananas, with marinated beef, pork or seafood, crab chips or crunchy bread and as the main course a large plate of grilled shrimps, squid or fish with rice or noodles. Even some Saigon Bia are included. The national dish Phó Bô – a delicious beef soup with vegetables and noodles - is available for only 2 USD. At the Vietnamese markets you can find everything your heart desires, from food to clothes. However, you should know how to bargain. Nobody can do that better than our Luong. To get from A to B the Vietnamese people mainly use motorbikes or scooters (xe máy). So we do. 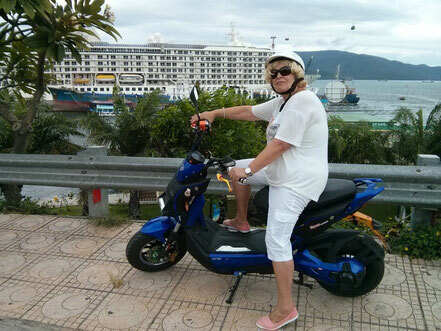 We bought a new Honda Wave and a new electric scooter here at a very reasonable price. International driving licences have been valid in Vietnam since January 2015. We had already converted our German driving licences. However, we also like to take a taxi due to the more than affordable prices (5 km for 4 USD). Flights from Germany to Vietnam and return cost approx. 700 EUR. We prefer to travel with Emirates including a stopover in Dubai. That means a 5.5 hour flight to Dubai, one night in the airport hotel and on the next morning a 6 hour flight from Dubai to Saigon. 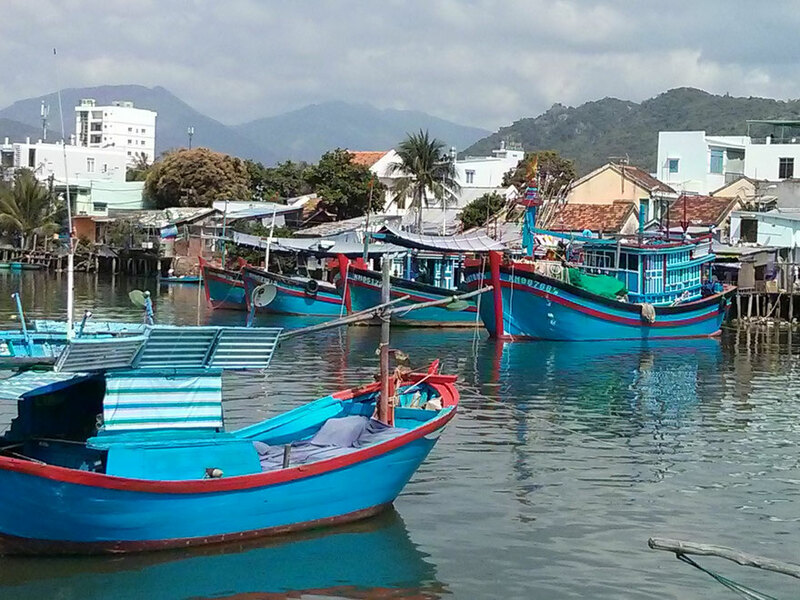 More tips for long-term holiday-makers and for people interested in spending the winter in Vietnam, assistance with travel bookings, extending visas, individual assistance in Nha Trang, Saigon, Buon Ma Thout and Buon Ho. 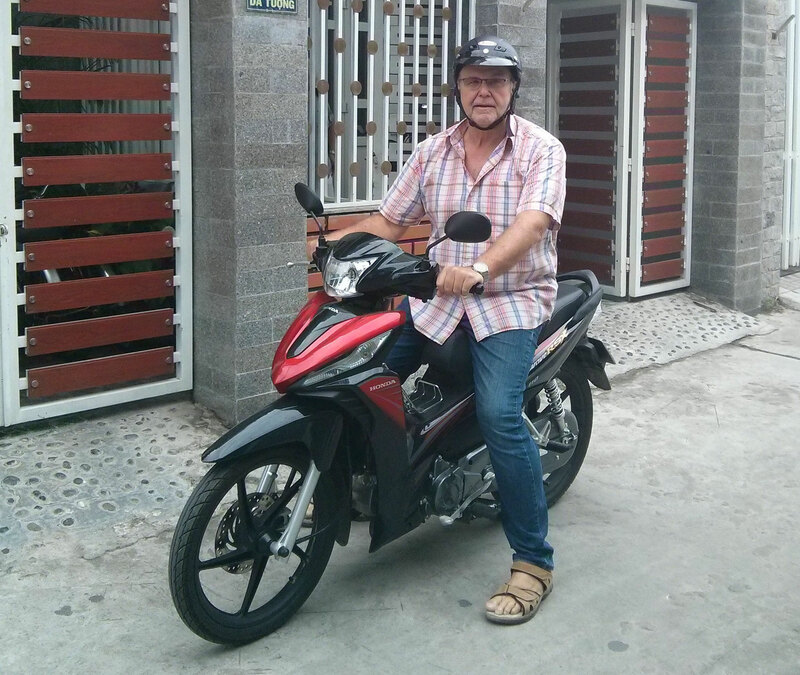 We ourselves have been travelling many thousands of kilometres within Vietnam by plane, train, bus, car and motorbike, from the North (Hanoi and the Halong Bay) to the South (Saigon/Ho Chi Minh City). Thanks to Luong we have a wide variety of contacts, knowledge and experience.